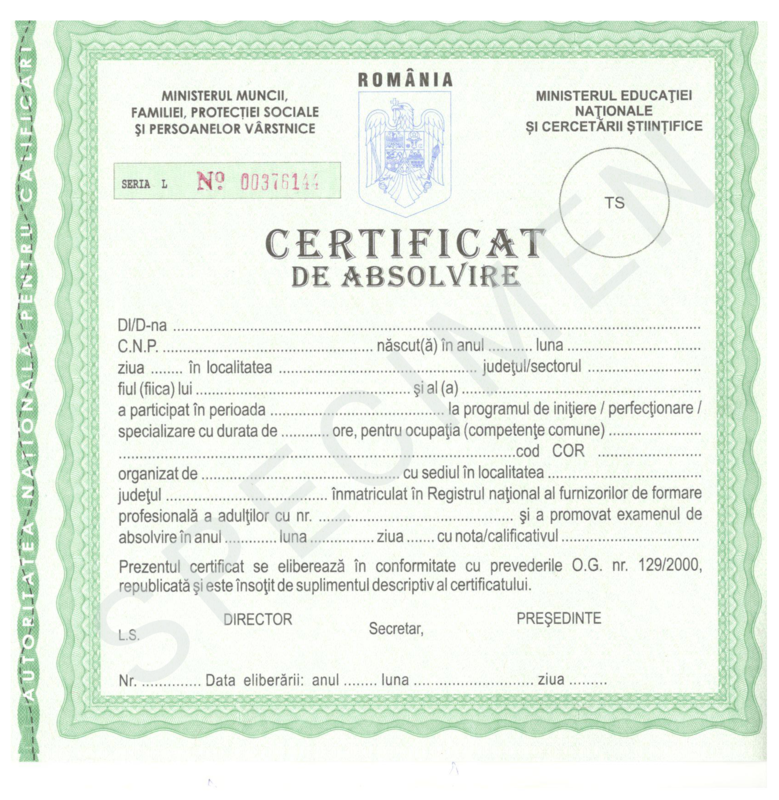 FINALITATE : CERTIFICAT DE ABSOLVIRE EMIS DE: MINISTERUL MUNCII SI MINISTERUL EDUCAŢIEI NATIONALE. RECUNOAŞTERE NAŢIONALĂ ŞI INTERNATIONALA . - ABORDAREA FLEXIBILA A SITUATIILOR DE FORMARE .